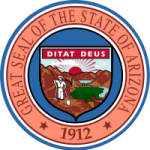 Enforcing child support payments in Arizona requires a parent to provide information about the non-paying parent, the children and the child support order to the Arizona Division of Child Support Services (“DCSS”). The DCSS will then review the information and seek to have the order enforced. In order to file a complaint, a parent should provide as much information as possible about the non-paying parent, the child support order that is being violated and the children covered by the child support order. The more information that a parent can provide, the better DCSS will be able to use their resources to enforce the order. Enter whether the person has ever applied for child support, medical assistance or cash assistance. Enter the Education level achieved. Step 5 – The form then must be filed at any of the DCSS offices. In the event that the non-custodial parent fails to pay child support as set forth in either a judicial or administrative child support order, the DCSS has options of enforcing child support orders, including administrative income withholding orders, state tax refund offset, asset seizure, credit bureau reporting and other remedies.